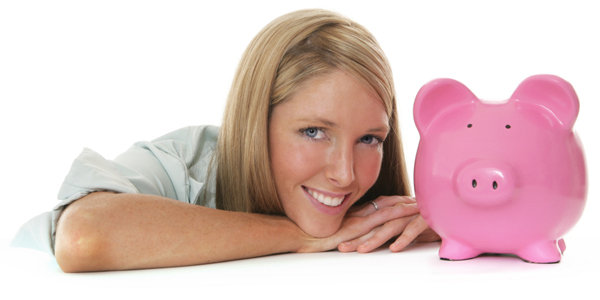 Many young, successful women are at the point in life when they realize the importance of saving and investing. However, many of these women may also not be able set aside a considerable portion of their income without feeling it – especially if they’ve gotten used to spending most of what they make. Many of us live in hip cities where the cost of living is higher. Many of us also live a lifestyle that demands a lot of take out, meals with friends, after-work drinks, and sophisticated entertainment. It’s not easy tocut back on these things, but there are ways to put some of that hard-earned money aside without feeling like you’re penny-pinching. You don’t have to feel like you’re always the person in the group who has to turn down a fun night out on the town. The most-encouraged form of budgeting is to immediately take what you decide to save and/or invest and have it automatically channeled into a separate account. This means it doesn’t touch your checking account and you’re not tempted to “just spend it this month.” As far as you’re concerned, that money doesn’t even exist! This can be hard to do if you’re used to having that money. Even if you’re not, it’s hard to see a smaller sum in your checking account even if you know that saving and investing is a good and necessary option. If you’re not in an area where taking public transportation is a viable option, try to find someone to carpool with. Ask your employer if they offer incentives or if they can put you in touch with co-workers who live near you. If you are in an area with public transportation, consider taking the bus or train to and from work once a week. If you’re used to going to the spa, go for a half-hour instead of an hour. You’re still relaxing without the hefty price tag. Prolonging the time between haircuts and/or coloring can cut down on hundreds per year. Even just waiting an extra month or skipping a coloring session can make a significant difference! Ask your guests to bring a simple dish like veggies, hummus or snack meatballs. Hang out at your place instead of going out. You can also keep a stocked alcohol cupboard, which does have a higher up-front cost, but your cost per drink goes way down. Having a few friends over for a glass of (relatively inexpensive) wine can help you save money in the long run.